Want playable sequenced melodies and basslines and out of the ordinary textures? 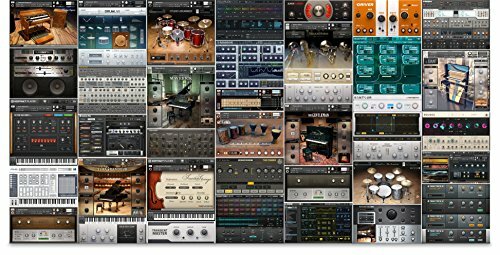 Then you’ll want to hurry and grab Native Instruments free holiday gift of Blocks Wired. Blocks Wired is a free Reaktor 6 Synth with three pre-patched modular synths created with Reaktor Blocks using newly created modules. Blocks may sound simple but they really have given the newest version of Reaktor a new life. BLOCKS WIRED gives you the world of modular synthesis in a playful and instantly musical format. Showcasing two of the new West Coast Blocks in REAKTOR 6, Lumikko captures the classic sound of renowned West Coast monosynths. While using only a small selection of Blocks, it’s capable of producing a wide array of unusual and exciting sounds. XY is an expressive sequenced synth capable of generative melodies and sonic textures. Discover nearly infinite modulation possibiltiies via the innovative XY sequencer. It also features independent pitch control of the Modulator and Carrier, allowing you to create interesting counter melodies. Submotion produces a wide range of step-modulated sounds, bass sequences, and dark sequenced textures. Submotion is great for generating sounds with rhythmic, animated overtone structures, as well as classic subtractive synth-sounds. BLOCKS WIRED is made possible by the new Blocks framework in REAKTOR 6, and runs in REAKTOR 6 or the free REAKTOR 6 PLAYER. Get Blocks Wired for free while you can at the Native Instruments website.